The Nexus 6P is very good phone. I love almost everything about the behemoth. The only two big drawbacks in my consideration are the slow camera speeds (seriously, please fix this in Nougat) and the mediocre battery life. I am a very heavy mobile user and the 6P has never lasted me an entire day without a mid-day top off at lunch. With that in mind, I was very excited to hear that ZeroLemon (finally) released an extended battery case for the Nexus 6P. When Artem asked if I'd like to review it, I jumped at the opportunity, excited that my days of battery anxiety might finally be over. After eagerly waiting for more than a week, the case arrived on my front porch while I was at work a few days ago. Finding it there at the end of my workday, I hurriedly opened it, anxious to try it on my phone that was nearly dead. I opened the packaging and slid the case out onto the counter where it landed with a thud. I looked at it laying there and started to laugh. 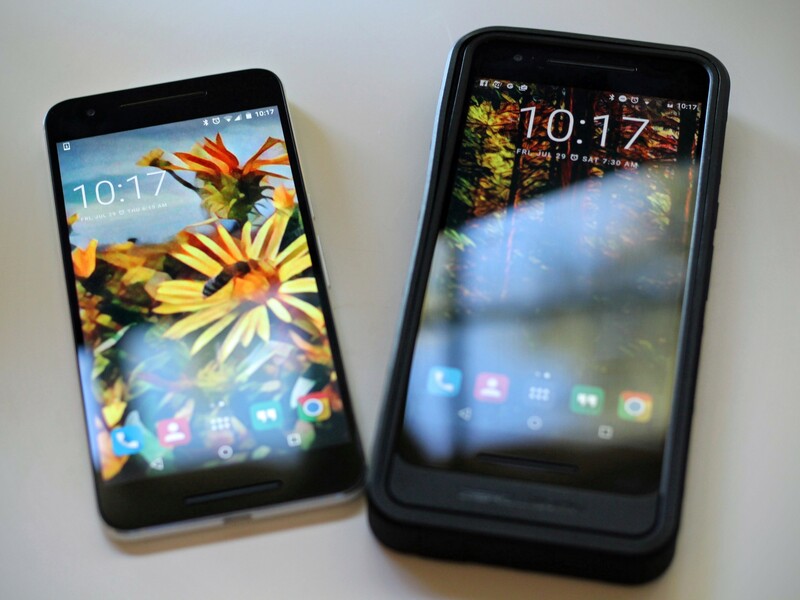 Two Nexus 6P's side by side (bet you can guess which one has the case on it). This case is ridiculous, and not in a good way. You can't truly appreciate how huge it is until you see one in person. After putting it on my phone it took me all of 10 seconds to realize this case was not going to work for me. Just the weight and size alone were way too much to handle. A couple of days of use revealed a whole host of other problems in addition to the bulk. For simplicity's sake, I've broken down this review into an expanded list of positive and negative points. Feel free to read only the bold headers or just look at the pictures. Since I'm generally a pretty optimistic guy, we'll start with the positive. Capacity: With 8,500mAh of juice, this case will keep your Nexus 6P ticking for almost three times as long as normal. 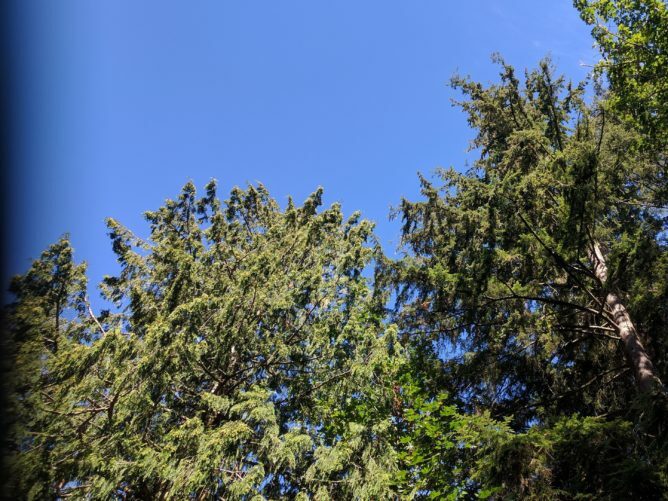 For an extended camping trip, a long day of catching digital Japanese monsters, a 13 hour flight to Australia with a toddler, or other battery exhausting activities, this is a real plus. 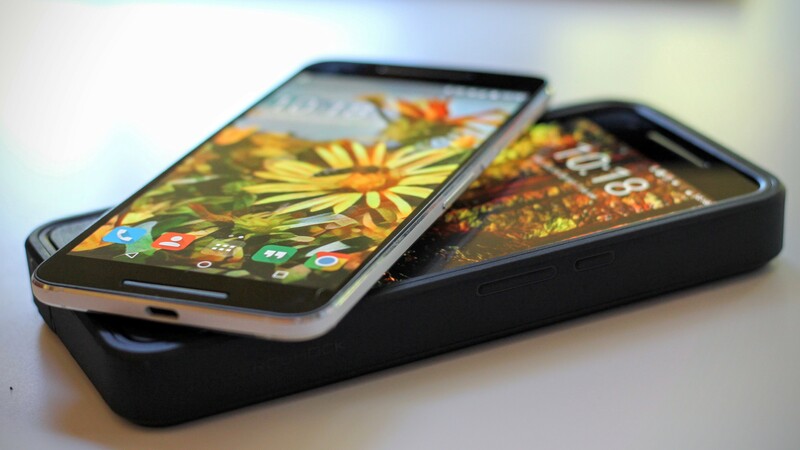 Protection: The back, sides, and corners of your phone are protected by multiple layers of (very) thick plastic. It looks like it would survive a drop fairly well. I didn't drop test it – my wife would kill me for denting the floor. 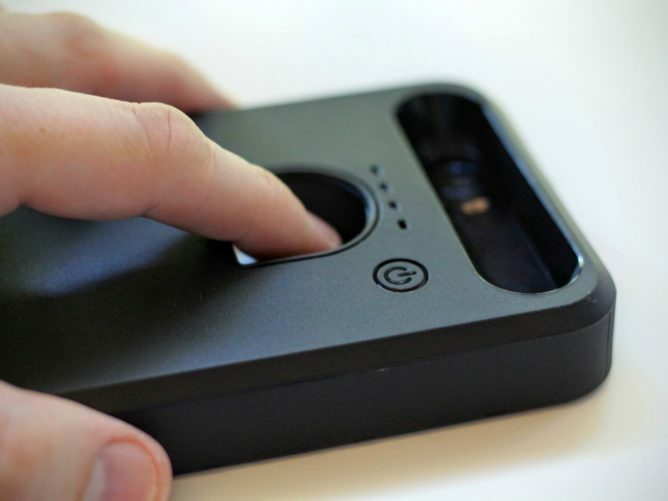 Visibility: With the ZeroLemon case on your phone you will find it much harder to misplace your 6P. 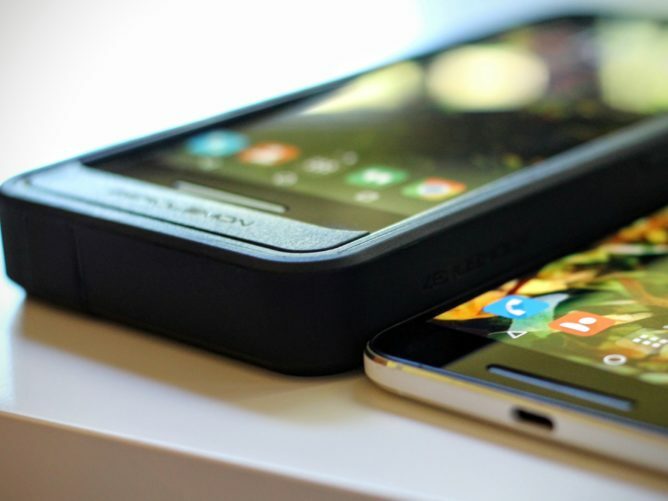 It'll make your phone so large that it'll stand out like a sore thumb wherever you set it. LED charge indicators: Four LEDs on the back of the device show current battery level. That's a handy, if expected, feature on a case like this. 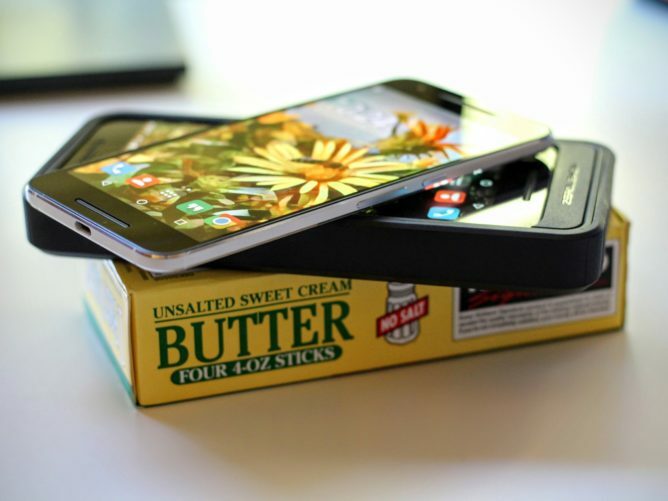 Weight: The Nexus 6P without a case weighs 179 grams. With the ZeroLemon case attached the weight balloons to 428 grams, almost two and a half times the weight. For you American folks, that's just shy of a pound. You know what else weighs a pound? Four sticks of butter. Yeah, that's crazy heavy for a phone. This makes the 6P feel extremely dense and heavy, to the point where it's uncomfortable to hold for more than a couple of minutes at a time. The stupid thing weighs so much that it pulls my pants down if I go out without a belt. Butter, the original portable energy pack. Bulk: Not only is it heavy, it's also crazy bulky, adding approximately 23mm to the length of the phone, 10mm to its width and 14mm the thickness. That's three times thicker than a naked 6P. 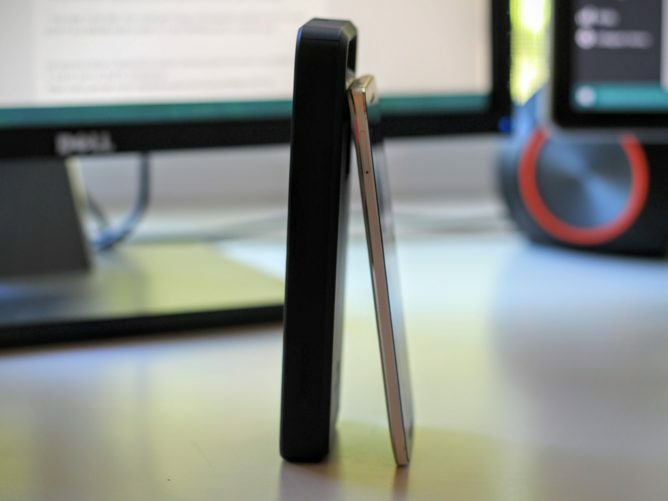 Amazingly, it somehow looks and feels even thicker than that and transforms a sleek and modern smartphone into unwieldy plastic cinder block. It's so massive that I was embarrassed to be seen with it in public, and that's coming from a hard-core nerd. Forget one-handed typing, one-handed photography – heck, one-handed anything. Wear skinny jeans? Don't even think about putting this in your pocket, because there is no way it's going to fit. Have a phone mount in your car? It probably won't be able to hold the added girth and weight of this case (none of the three I own could). It's so enormous that it makes using the 6P a chore. Who wants that? That's the ZeroLemon case in profile, not a power bank. Charging speed: Neither the input or output of the battery pack supports any sort of quick charging. Charging the case, and charging the phone with the case, is slow. It takes several hours to charge the case from empty, so you better not forget to plug it in overnight, because you aren't going to add much juice to it during your 30 minute commute to work. Camera issues: We've already established that the rear of the ZeroLemon case is thick. In order to accommodate the camera, a deep canal cuts through the back of the case, exposing the lens, LED flash and other sensors. However, the canal is not quite wide enough, leading to an unintentional vignette on the left side of all pictures and video. The shiny plastic on the sides of the cutaway also reflects light, which adds further artifacts to images. As a photography enthusiast, this drives me absolutely insane. How did no one notice this when the product was tested!?! Who needs Instagram when your case applies filters for you? Fingerprint reader problems: The cutout for the camera isn't the only one in the rear of the phone, there is another just below it for the Nexus 6P's fingerprint reader. It's so deep that only the very end of my finger can reach the sensor. I actually had to retrain my fingerprint reader to work with the tip of my finger because it failed to recognize it at first since I normally use the middle of my fingertip to unlock my phone. Only being able to touch a small part of the ring with my finger also lead to frequent failed reads, a problem I have never had previously with my 6P. Welcome to the cave of wonders. 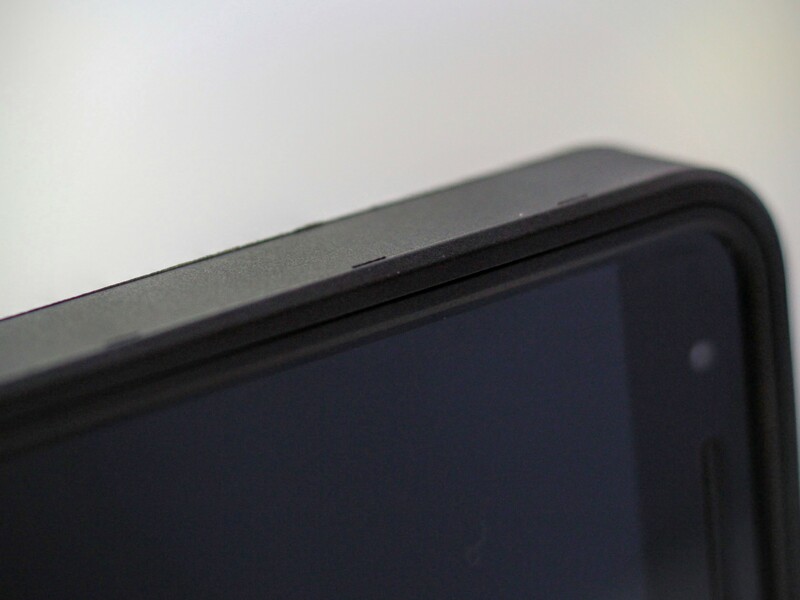 NFC blocked: The depth of the back of the case poses yet another problem. The NFC reader, on the same glass bar as the camera, is too deeply buried under all that case to communicate with NFC terminals. Forget about mobile payments and easy Bluetooth pairing when using this case because they won't work. I'm running out of ways to express my disdain and disbelief – what a mess. Difficult assembly: Constructed out of three separate components, the case is a real pain to put on unless you do it just right. First you have to plug your 6P into the battery pack. After that, you place a hard plastic ring around the phone and battery. Finally, you muscle the whole thing into the silicone outer shell. It took about 20 minutes to figure that process out. Installing your 6P without breaking it reminded me of playing with one of those 3D plastic puzzles where you have to assemble all the pieces just right in order to build a sphere or cube. Those puzzles are frustrating and so is putting on this case – it really shouldn't be so hard to put it together. It's like putting together a puzzle! Except it's not fun (arguably most puzzles aren't either). Cheaply made: On top of all the other issues, this case looks and feels cheap. The plastics are brittle and weak feeling, seams are rough, and the whole thing creaks, flexes, and wiggles thanks to gaps and spaces between the three components of the case. For $60 this should be a rock solid case built of high quality materials that fit together perfectly. It's not like this problem can be blamed on rushing the product to market either, the 6P has been out for almost an entire year now. It was hard to photograph this well, but those ridges you see are rough injection molding nibs. I generally try to avoid reviewing lousy products here at Android Police. The time I have to write each week is limited, and I would rather use that time to tell you about an awesome gadget rather than something terrible. In this instance, since we had already written about the availability of the ZeroLemon case, I felt it was my duty to share my honest opinion. Want to know what Artem thinks about the case? You can read his thoughts on Google Plus (spoiler: he wasn't impressed either). I do not recommend this case. Yes, it will extend the battery life of the Nexus 6P, but at the terrible costs of lost functionality and added bulk. 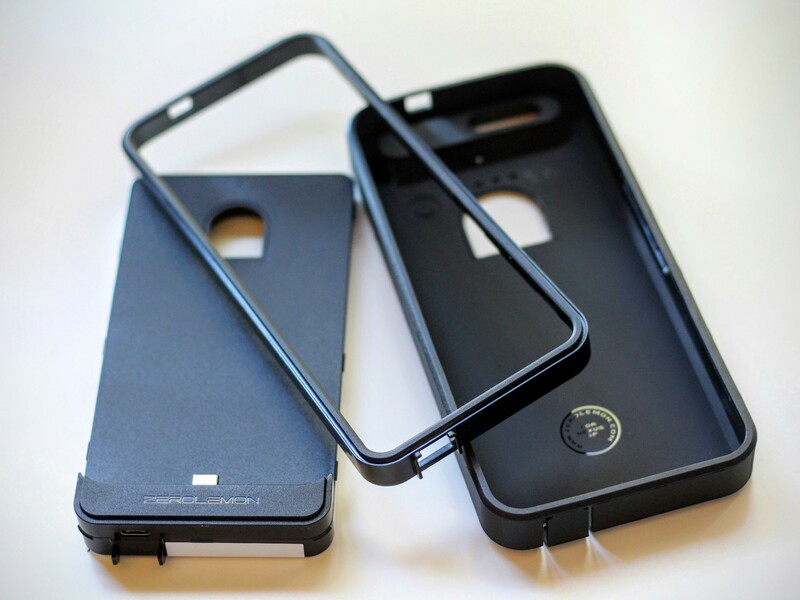 I wish ZeroLemon had designed the case with a battery with half the capacity – a small amount of added weight and thickness would be an acceptable trade-off for greater longevity, but this is grossly excessive. I had really hoped that this case would be the solution to my Nexus 6P battery anxiety, but it's not. Since this isn't a good option, what should you do if you, like me, still need to charge your 6P while on the go? I'd recommend buying a portable power bank that can rapid charge a Nexus phone like the Tronsmart Presto. I'd rather carry a power bank in my backpack or jacket pocket and deal with my phone being tethered to it for 20-30 minutes each afternoon than have this ridiculous brute of a case attached to my phone all day. If the 'not so good' list didn't scare you away and you are still interested in buying a ZeroLemon Nexus 6P battery case, then I'm sorry, you'll have to wait. It is currently out of stock at Amazon where it sports an uninspiring 3.4 star rating. Bummer, I bet you are all dying to buy one. Oh well, it's better to crush your dreams than crush your toes by dropping this case on them.